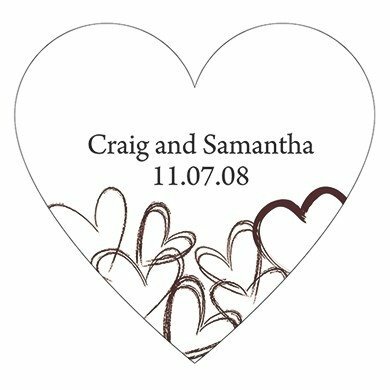 This personalized sticker is filled with heart! From it's heart shape to the string of hand-sketched hearts along the bottom, your love will shine through. 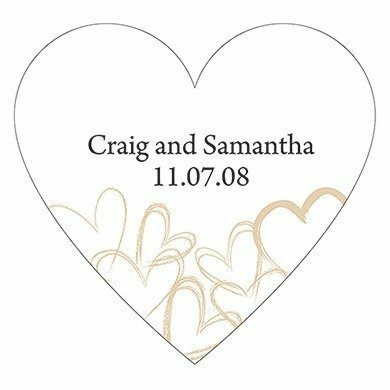 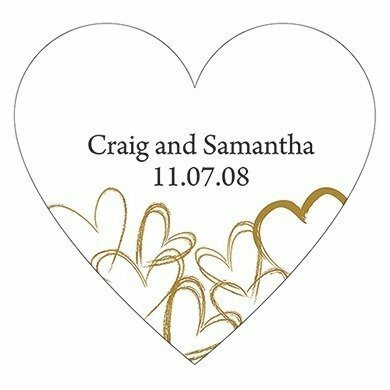 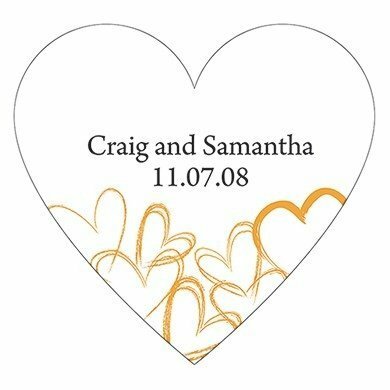 Measuring 2" by 1 7/8", we will add your names and wedding date to each self-adhesive sticker so you can add them to wedding favors, goodie bags or correspondence envelopes. 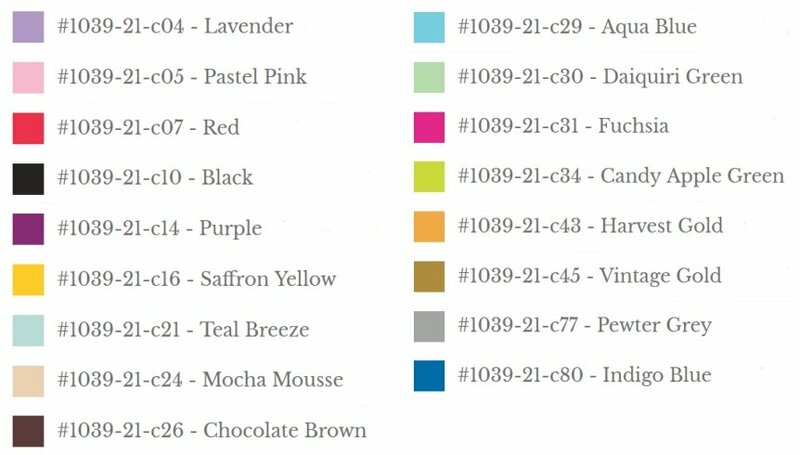 Minimum purchase of 36 stickers. Measures 2" by 1 7/8"